Reviews are tightly linked to an author's success, but they are notoriously difficult to receive. 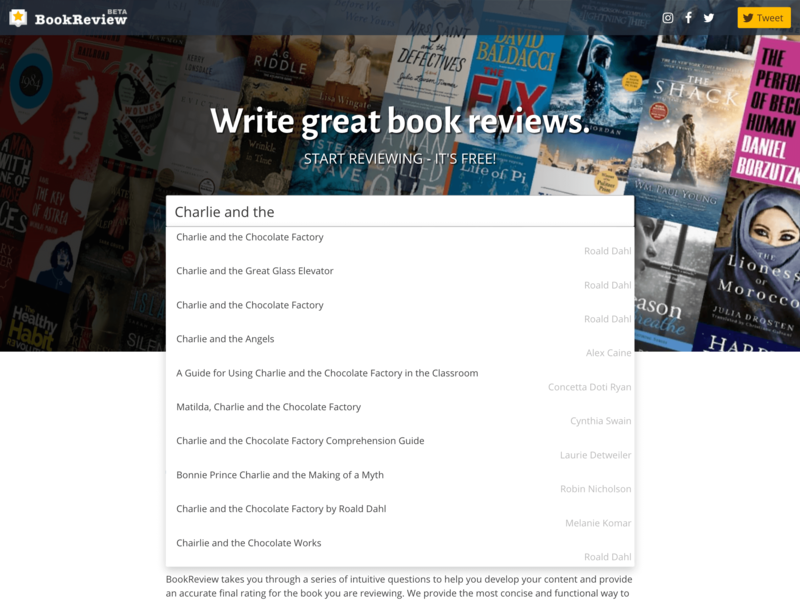 This tool is based on the assumption that readers want to leave reviews, but they are difficult to write. 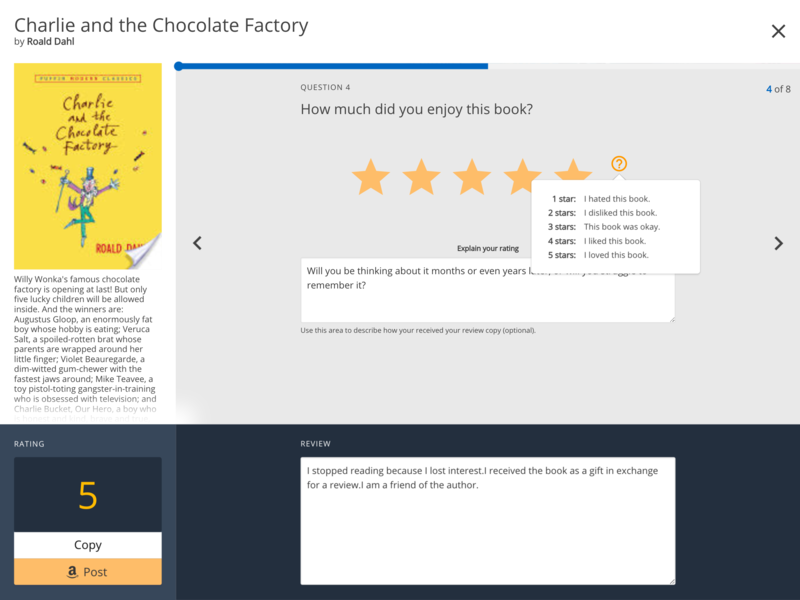 The purpose of this tool is to provide is clear and simple method for a reader to critically evaluate the book through a series of relevant questions. Whether you've written one book review, or a thousand, BookReview can help. BookReview takes you through a series of intuitive questions to help you develop your content and provide an accurate final rating for the book you are reviewing. We provide the most concise and functional way to write your reviews. Did you complete the book? Did you receive a free copy? Do you have a relationship with the author? How much did you enjoy this book? 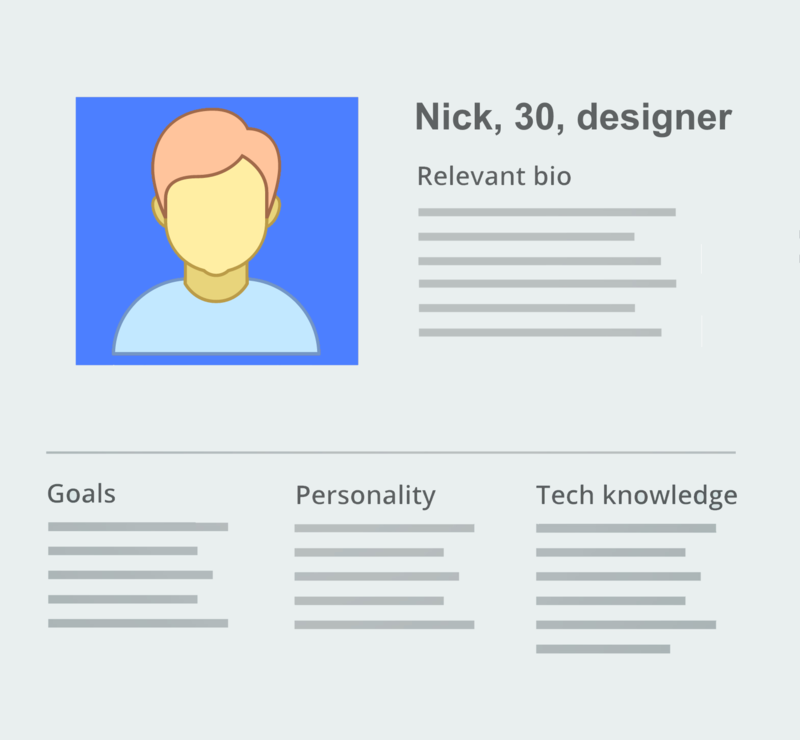 Designers build the product bases on personas. Personas make it easier for designers to create empathy with users throughout the design process. Sketching: Sketching is the easiest way of visualizing our ideas. Drawing by hand is also the fastest way to visualize a concept — it allows the designer to visualize a broad range of design solutions before deciding which one to stick with. 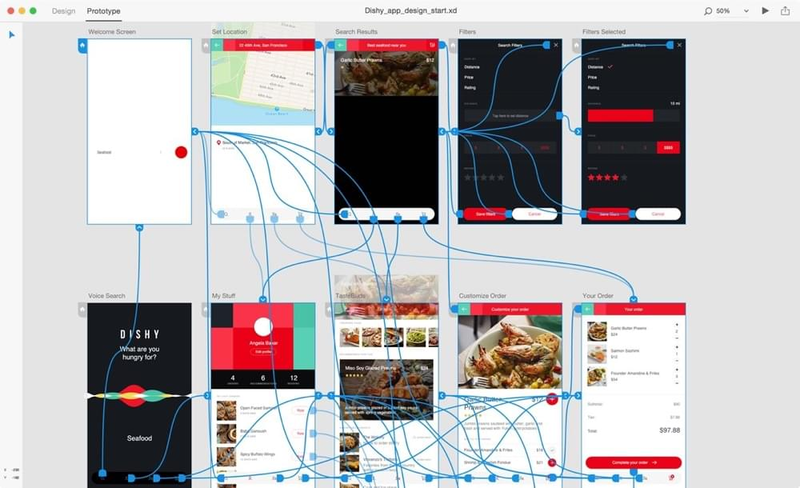 Create wireframes: A wireframe is a visual guide that represents the page structure (hierarchy and key elements). 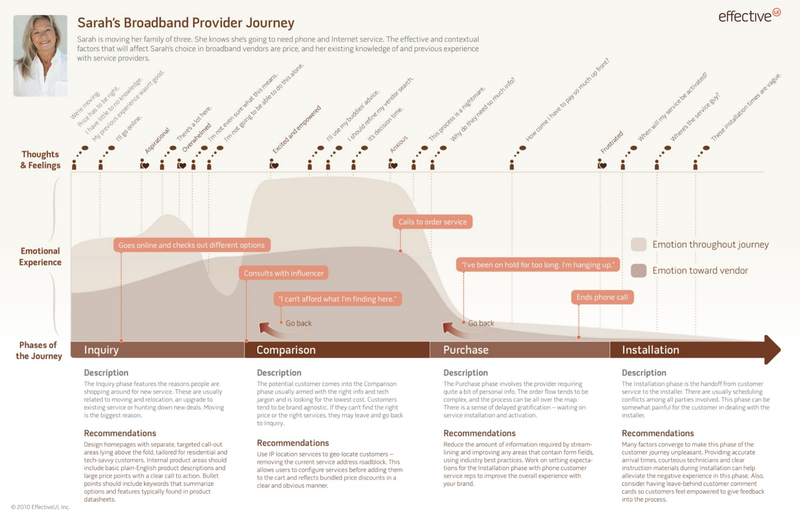 Wireframing acts as the backbone of the product — designers often use them as the skeletons for mockups. 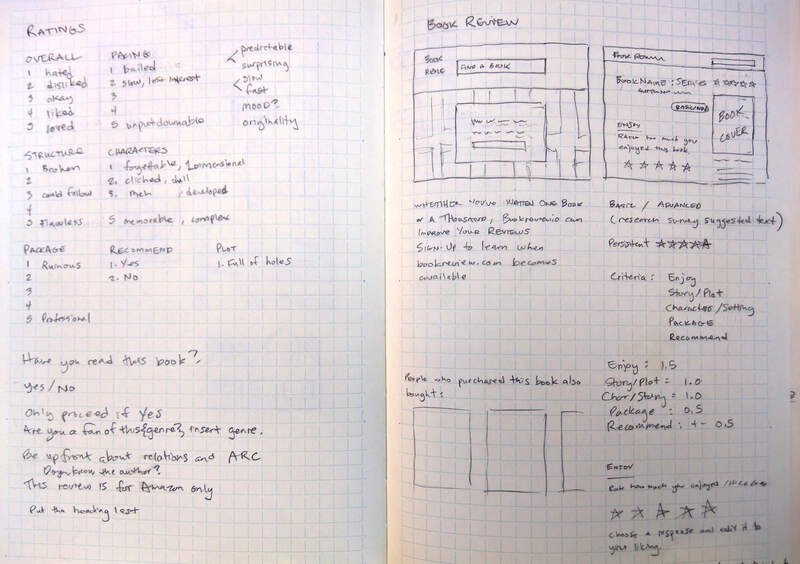 Create user diaries: User diaries are great at capturing an information from real-world users. Using Google Docs, UX designers can create a simple template and then include open-ended questions such as: Where were you when using the product? What tasks did you hope to achieve? Do you have something that frustrated you?